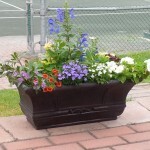 The Royal Oak Tennis Club is situated in a quiet area of Hudson, Québec, surrounded by wonderful nature. By joining the Royal Oak Tennis Club you will have the use of 4 Har Tru (clay) courts and 2 all weather courts. The clay courts are maintained three times a day, and the sign-up for play times are offset by 30 minutes. There is a social committee which organizes weekly events and BBQ’s. A Pro is on site to offer private/group lessons and clinics during the week.